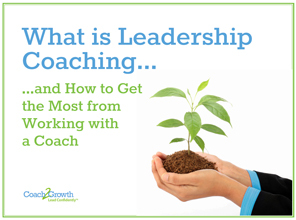 This Coach2Growth eBook is your concise guide to understanding leadership coaching. You will gain a greater sense for who is best served by leadership coaching and how it differs with other coaching niches. Most importantly, you will learn ways to get the most from working with a professional leadership coach, if you are so inspired. If nothing else, this eBook will give you food for thought and make you smarter about ways to invest in your professional development, whether it’s now or in the future.